Tracy Slater’s publishing story reads like a fairytale: Boston academic meets Japanese salaryman, falls in love, and leaves it all for a new life in Japan, where she becomes a housewife. A shufu. Tracy and her husband look forward to starting a family in Japan, where she’s basically had to start from scratch. But already in her early 40s, Tracy finds it to be a difficult and often heartbreaking experience. Just when she and her husband have accepted the fact that they will be a family of two (as she writes about in The New York Times), life takes some exciting twists. First of all, she lands a fabulous book deal with Putnam! You can read more about her publishing journey and forthcoming book on her blog here. The Good Shufu: A Wife in Search of a Life Between East and West (Putnam, 2015) details her story and the other exciting change in her life! I am so thrilled for Tracy for many reasons and cannot wait to read her memoir! And I’m kind of going crazy waiting to see what her cover will look like. It will be fabulous! 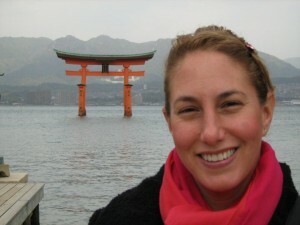 Tracy is also the founder of Four Stories, an award-winning literary series in Boston and Japan. I look forward to reading Tracy’s title A Good Shufu, as well as Susan’s latest, Good Chinese Wife. It is these stories that westerners want to read, because they are real, organic and share generously with what readers are interested in. Having studied Mandarin at Yale, later working for NSA in protective roles for Taiwan and Viet Nam, I have real memories etched in the canyons of my mind forever and look to add to that visceral library of experiences with East meeting West.